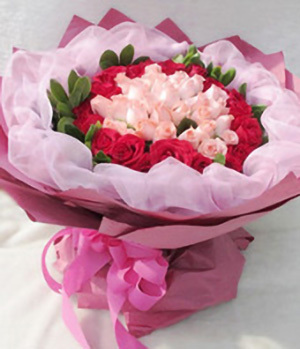 Tender love flows like a stream, happy date seems but a dream. 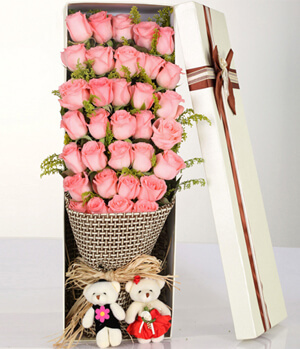 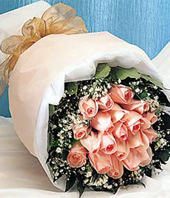 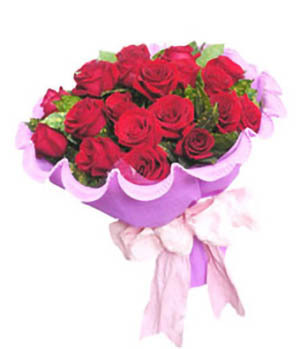 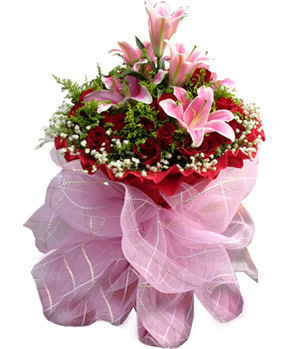 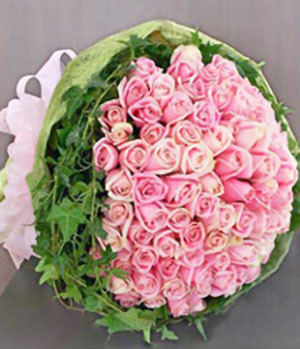 Send this 66 red rose and 3 pink lilies with baby's breath and solidago, pink gauze top packing to express your feelings. 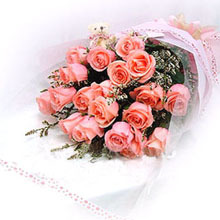 This is the second time we have used Chinaflower214 and both times the service has been excellent: the flowers are beautiful and exactly as shown on the website, and delivery has been precisely as we ordered.